The KTM Duke 200 has always been pricier than the NS200. Basically, the NS200 is to the Duke 200 what the Dominar 400 is to the Duke 390. No surprise then, that, the Pulsar streetnaked is cheaper than its Austrian cousin. However, the price difference between the two bikes has widened over the years. Currently, there’s a difference of almost Rs 50,000 between the prices of these two models. All this makes us wonder if the Duke 200’s higher price tag is really justified. 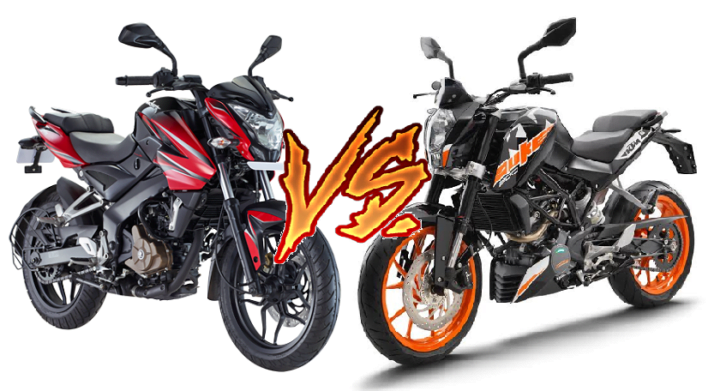 The Duke 200 holds a slight advantage over NS200 in terms of engine performance. While the 1 BHP-1 Nm difference doesn’t look significant on paper, let’s not forget the NS200 is more than 20 KGs heavier than the Duke 200. This means the Austrian streetnaked is quicker and much more fun. The Pulsar NS200 offers a higher average fuel mileage. While the Duke 200 isn’t too far behind, the NS200 holds a definite advantage over the Duke 200 in this aspect. 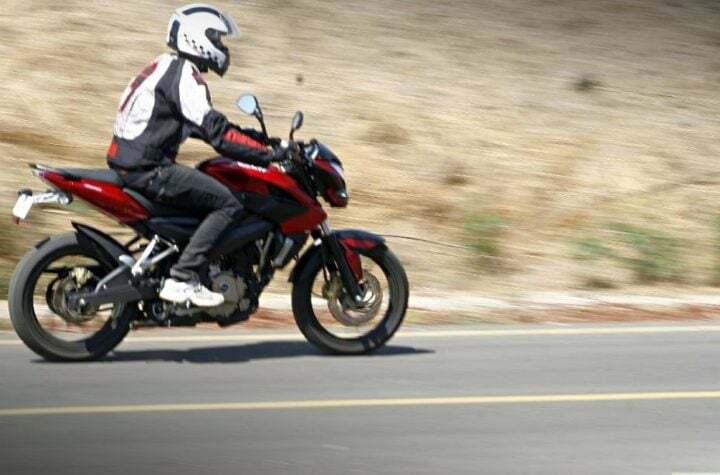 Thanks to a more potent engine and a more performance-focused tuning, the Duke 200 ends up being considerably faster than the Pulsar NS200. Again, a lower kerb weight and a more powerful engine enables the Duke 200 to have an advantage over the NS200. Price- Well, the NS200 and the Duke 200 aren’t direct rivals. 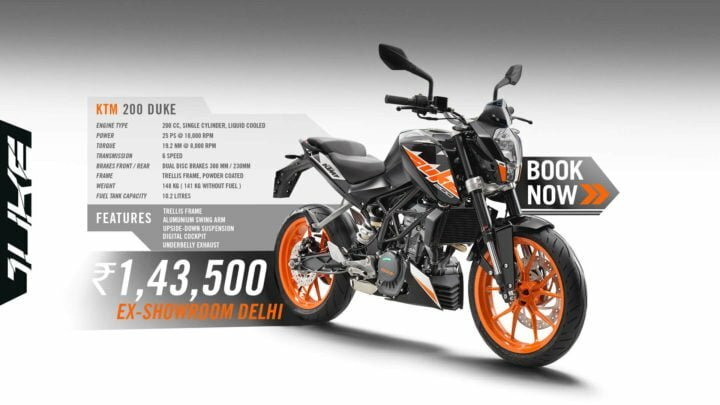 The baby Duke is almost 50% costlier than the NS200. However, the two bikes are too close in terms of specifications for each other’s comfort. And in terms of pricing, the NS200 is a clear winner here. It offers a very well rounded package. The Duke 200, however, offers only a slightly stronger performance for a lot more money. Specifications- The Duke 200 is the winner in this department. The NS200 isn’t far behind; it offers almost same performance from almost the same engine. However, at 151 KGs, it’s considerably heavier than the Duke 200. Mileage- The NS200 offers a higher average fuel mileage. This makes the Pulsar NS200 a better buy for those looking for a good mix of performance and fuel efficiency. The Duke 200 isn’t far behind, but thanks to a single minded focus on delivering performance, the fuel economy takes a slight hit. Top Speed & 0-100 KMPH Timing- The KTM Duke 200 is both faster and quicker than the Pulsar NS200. Comparison Verdict- Well, these two are pretty close to each other in terms of pricing. Also, both the bikes are stylish and look modern. There’s enough kit available on both the models. Still, there’s a lot that separates these two models. While the NS200 tries to come across as the Jack of all trades, it’s actually the Duke 200 which is the undisputed King of the performance game. 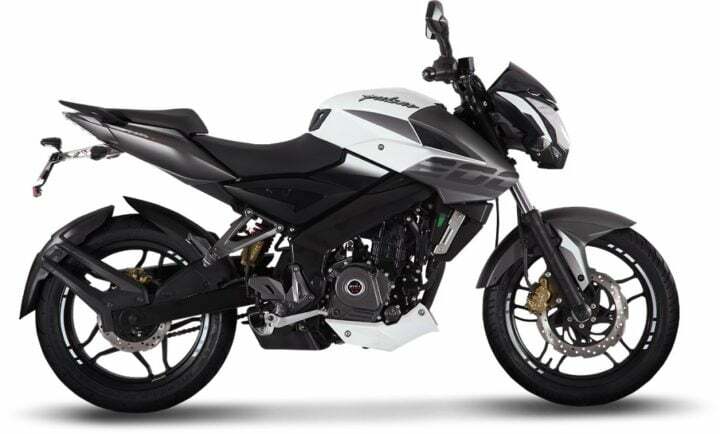 Hence, those looking for a reasonably quick and fast bike without spending a lot money should look at the Pulsar NS200. However, those looking for a thoroughly performance bred low displacement motorcycle should get themselves the 2017 KTM Duke 200.